There is a new object, probably a nova, visible right now in the tiny constellation of Delphinus, between the bright stars Altair and Deneb in the Summer Triangle. This so-called “transient” object (because it wasn’t there before and will dim away and be gone at some point) is technically easy to see from Seattle. You’ll need binoculars, the clouds to go away, and some patience with yourself and the finder charts. The main barrier to seeing this object yourself is going to be knowing exactly which star is the nova, and learning to read increasingly-zoomed-in star-finder charts. Equipment: an approximately 7-inch reflector (and a CCD). This is not quite twice as large as Pacific Science Center’s Orion Starblaster, and yet less than half the size of our Columbia Telescope. Visibility: This object is currently a little dimmer than magnitude 6 – which is the limit of unaided human vision with perfect, dark skies. 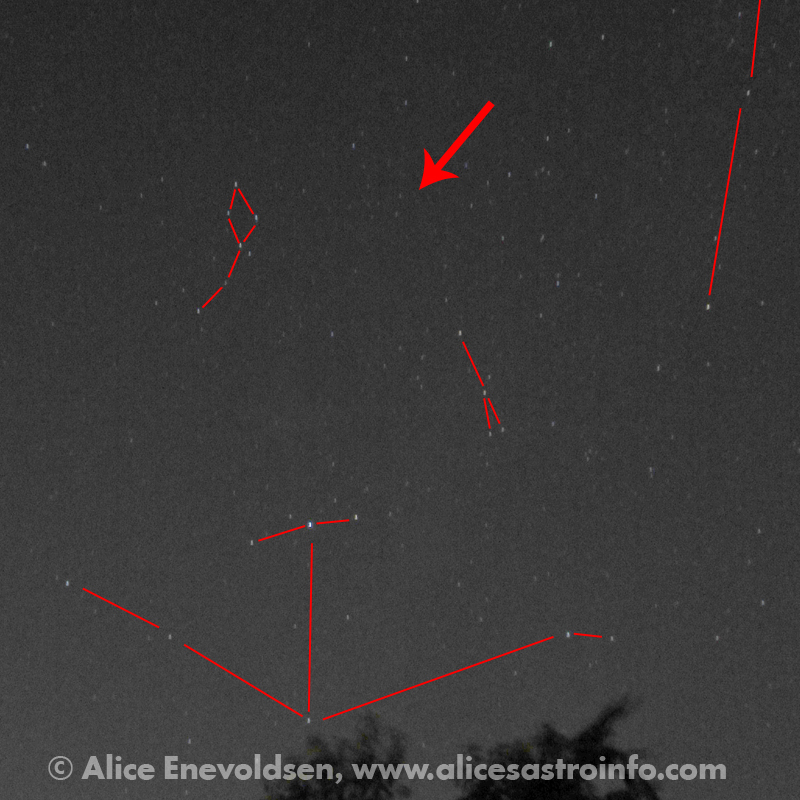 This object should be easy to pick out with binoculars, and there is a little evidence that it is getting brighter. See Sky and Telescope and Universe Today for finder charts. 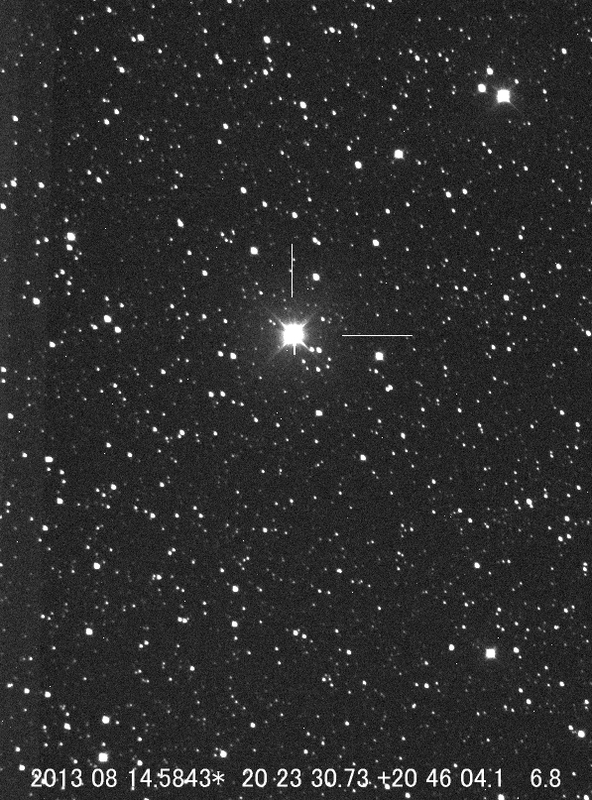 The constellation Sagitta is pointing straight at the new object. Here is my mostly unprocessed and much larger photo pointing in the right direction. 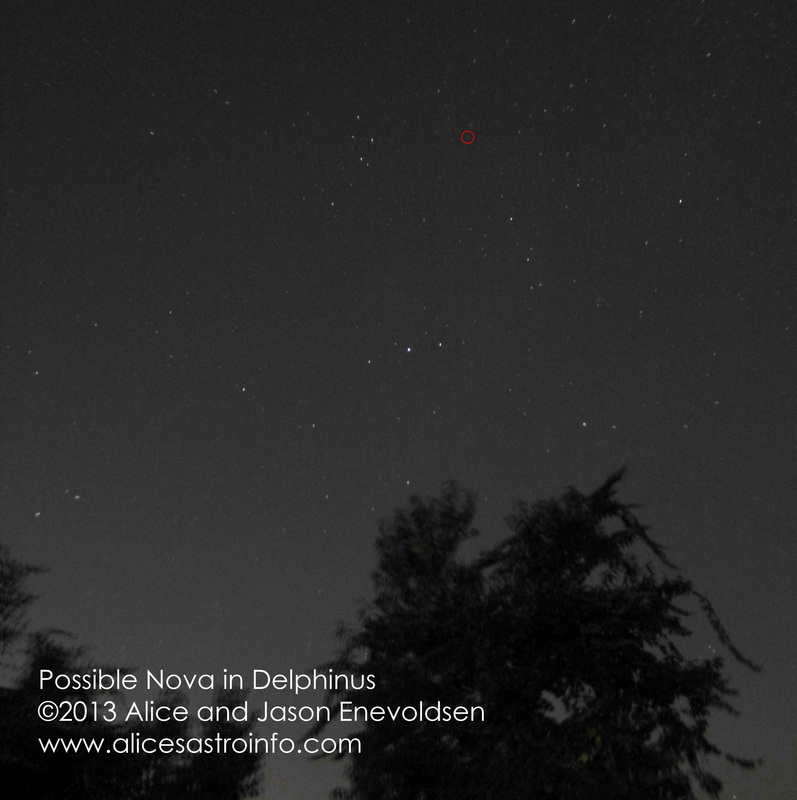 These two photos are at VERY different scales, and the nova is not necessarily visible in my image. It might be, but I need to do more processing. The only thing I did here was brighten it up and add the lines and arrow. 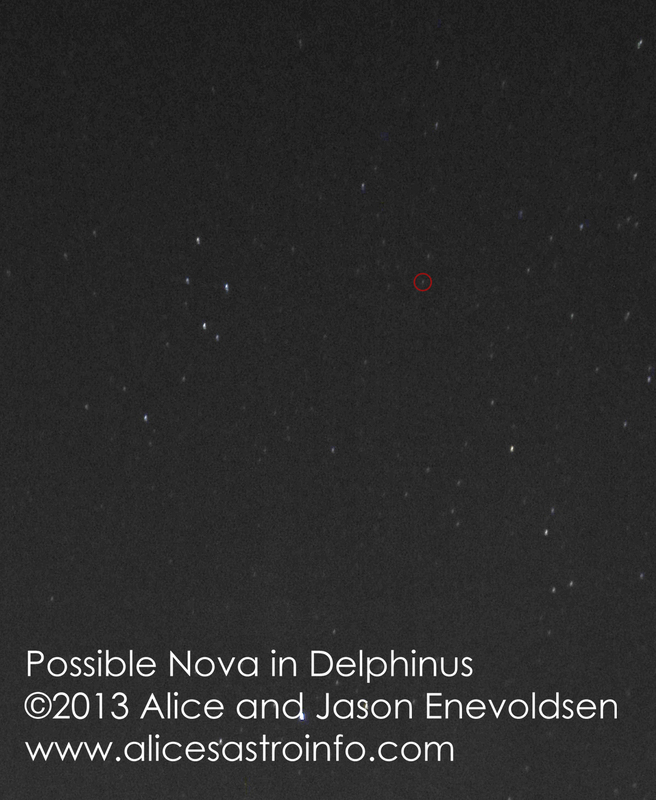 And I DID catch the possible nova! Jason did the processing on these photos. These photos are copyright by me, but you may use them, with attribution, for educational use. Please let me know if you are using these images. 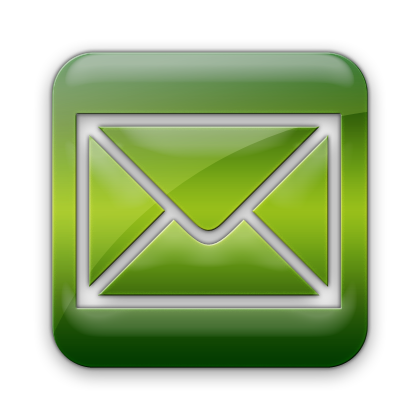 Click the image to see the full-resolution version. Remember that there are multiple kinds of novae, one of the most common being a two-star system of a giant star and a white dwarf. As material falls from the giant star onto the dwarf star it makes novas every once in a while. This transient object is not confirmed to be a nova at all, let alone a supernova, and we don’t know how far away it is (though it is definitely far enough to pose no threat). Therefore, I recommend against comparing this nova to star-death supernovae (so no Hoberman sphere), though if it comes up you might as well just clarify that there are different types. This also might be a wonderful time to talk about light-years and distance and time. This supernova definitely happened hundreds, thousands, or millions of years ago. The light just began to reach us yesterday. It isn’t that the nova happened yesterday, it’s that the light just got to us.